Dark brown purply color, good aromatic intensity, well balanced, vanilla aroma, mild spices, milky, clean on the palate, bitter and slightly acid. Cocoa origin: Ecuador. 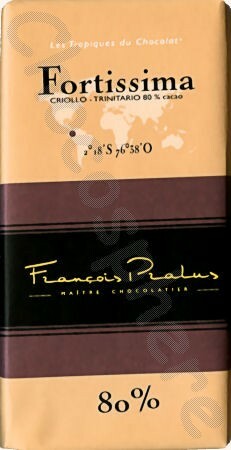 80% Cocoa, 100g/3.5oz.